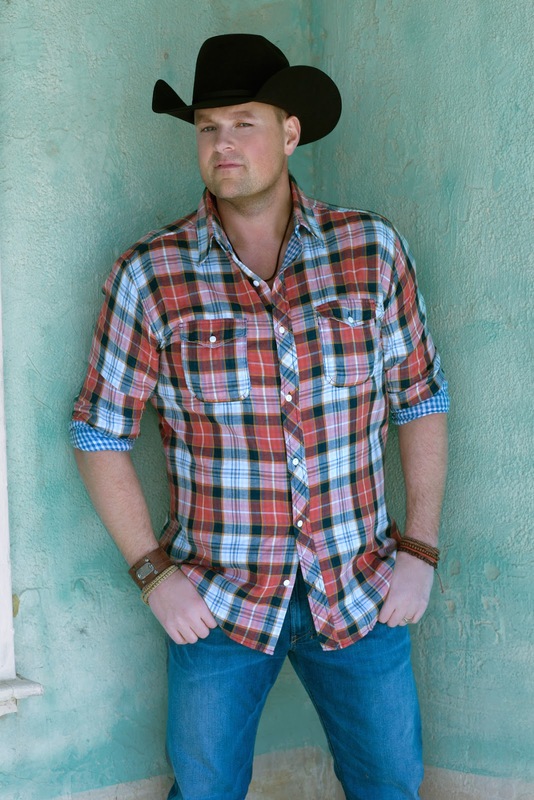 Canadian country music star Gord Bamford was last in Australia when he joined the Wolfe Brothers’ This Crazy Life tour in 2016. It certainly wasn’t his first time here: Bamford was born in Australia and lived here until he was five. But that visit saw his fan base here start to grow, and he’s now back in the country for a few dates after playing at the CMC Rocks festival. I spoke with him not long before he departed cold Canadian shores for our summer heat. It’s pretty good. I’m actually in British Columbia right now – we’re wrapping up our Canadian tour. We’ve got two shows tonight and tomorrow then we’re done. We had 29 shows in 35 days so we’re looking forward to it coming an end, then a little time off and we’re over to Aussie, so we’re looking forward to that. Thinking of the name of your single, ‘Livin’ on Summertime’, are you coming here to escape the end of the Canadian winter? [laughs] I’ll be honest with you, I’m looking forward to that. It’s been quite a winter here. We’ve had a pile of snow in Alberta, where I live. It’s been cold. So it will be a nice change. Are there any logistical issues, touring Canada in the winter? I would imagine sometimes now causes flights to be cancelled and things like that. For sure – we’ve had a few issues with our bus because it gets so cold and it freezes up. But, knock on wood, we’ve been pretty lucky on this tour and we’ve been coast to coast. It gets a little bit dicey up in the mountains during the wintertime, that’s for sure. Do you find that audiences change as you go across the country? In the Maritimes there’s a strong Celtic music influence and every second person seems to have a fiddle but as you go westwards is there a more natural audience for country music? You’ve obviously done your research – that’s kind of how it is. But I’ve got a fiddle player in the band – I’m one of the rare [performers] in country music these days to carry a fiddle. My fan base is pretty passionate – it’s been growing here in Canada for 20 years. This has been our best tour ever. All the shows have sold out. There definitely is a difference in how the audience reacts as you come from the east coast back to the west. But it’s good. You mentioned growing that audience – country music in Canada obviously doesn’t have the prominence that it has in the United States, but when I was there in the mid 1990s I don’t remember much country music being around at all, and I went to see a lot of bands. So it seems like it is relatively new to come to prominence. Yes. America’s a different beast on its own. It’s tough down there. We’ve got such an opportunity. Being from Canada and having markets like Canada and Australia gives a better opportunity than anything. You can build yourself a career. There’s not as much politics involved. I’m more excited to get into the Australian market than any place, outside of where we’re playing now. We play in Europe a bit. Obviously being born in Australia and my dad being there, and some of my family’s still there, it’s been pretty great to reconnect with them. It’s been a bonus to be able to play music there. It’s really starting to build for me – I can feel that the Aussie fans are liking my stuff and I want to make sure I dedicate as much time to being there and building that market as I did Canada. It’s exciting for us. This is the first time the whole band’s come over; it will be a change for everybody to see that whole show. I’ve appreciated everything the Wolfe Brothers have done for me – I’ve been able to play with them and it’s been great – but there’s going to be a big difference when everybody sees our full show and our band. My band and crew have been with me, most of them, for ten years. It’s pretty comfortable up there and it’s going to be fun. The Wolfe Brothers are headlining a new tour – more like a mini-festival – in October and they have a host of good talent with them, including Canadian-Australian country star Gord Bamford, who recently played the Gympie Muster. Gord has headed home for a few weeks, and then he’ll be back – I asked him a few questions ahead of his return. You have possibly the best country music name ever – is it real? Well thank you, yes it is! You are Australian-Canadian – just how are Australian are you? Since you’re about to tour here, I have to ask. I was born in Austrailia and my mom and dad split up when I was 5.5 years old. My mother then brought my sister and I back to her home land in Alberta Canada. My dad and half-sister and two half-brothers stayed in Australia. I feel even though I left at a young age I am just as Aussie as when it happened. Lots to catch up on. You’re now living in Tennessee – what do you miss about Canada? I moved to Tennessee to continue to write songs,when I’m not on tour. I write for a publishing company called ‘ole’, miss lots about Canada but also have the great opportunity to see different parts of the world with my job. You’re joining the Wolfe Brothers on tour – as well as some other Australian acts – have you met them before? Yes, I have met the Wolfe Brothers, as well as a few of the artists that will be part of the tour. The brothers actually played in my band while we did the Gympie Muster. They are great people and musicians. When were you approached about the tour and how long did it take you to say ‘yes’? I have been very fortunate to have met Steve White and to have ABC Music sign me up. It’s a great opportunity to see the country I was born in as well as get my music out to all the passionate country fans down under. It took 2 seconds to except the invite. You’re also playing the Gympie Muster – how long will you be in Australia in total? Gympie was fantastic, and I had a very heart-warming response. Was a quick trip as I head back for shows in Canada and the Canadian Country Music Awards before returning back for the month of August. Are you looking forward to any destinations in particular while you’re in Australia? I’m looking forward to all of it, it’s a dream come true. You have a foundation – how did it start and what work does it do? The Gord Bamford Foundation is currently in its 10th year and it started based around a charity golf tourney. It has raised just over 2.8 million dollars for youth and multi-use facilities right across Canada. It is 95% youth based and helps support things like the Children’s Hospitals, Make A Wish Foundations, Ronald McDonald Houses, Big Brothers and Sisters. Sports facilities, wheelchair accessible playgrounds as well. It’s the most gratefully and single important thing I have ever been a part of and I am very proud of it.